The small but great city of Superior, Colorado. Nestled between Broomfield and Boulder, Superior offers great panoramic views and outdoor recreation with a metropolitan flare. With quick access to Route 36 you can be in Boulder or Denver in just minutes. But why leave home when it looks this good right? 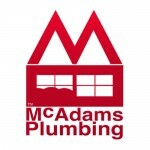 McAdams Plumbing happy to be the first choice for plumbing repair in Superior. It’s hard to say how many potential plumbing issues can happen in a home, and even more difficult to list. Below are the more common plumbing issues folks run into in their homes, and we can handle all of them. If you have something going on that’s not on this list, give us a call, there’s a good chance we still have you covered. A leak can be a homeowners worst enemy. They can happen in hidden places or right out in the open. No matter where your leak rears its ugly head, McAdams Plumbing will be there to fix it. We’ll tack it down to the source and make sure it’s fixed right the first time. Let our experienced plumbers take the load off your shoulders. The best way to prevent a leak before it happen is with a WaterCop Automatic Water Shut Off Valve. Once attached to your main incoming water line, the WaterCop unit shuts off all water to the home if any of its wireless sensors come in contact with water. This can be an amazing asset to protect your home and your possessions. We truly hope that you like what you’ve read. If there’s ever anything we can do for you, please don’t hesitate to call. 303-465-1900.